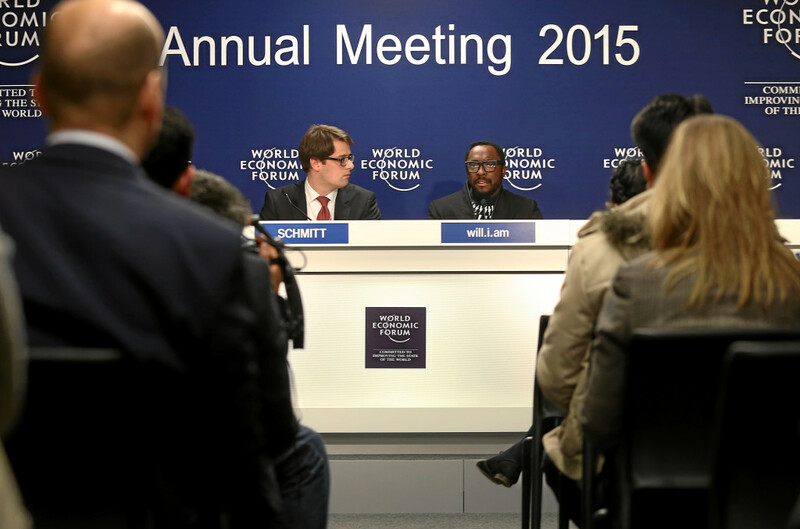 Image: Will.i.am speaking at the Davos press conference. Photo courtesy of the World Economic Forum. 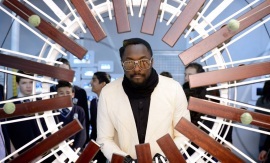 USA TODAY – The Black Eyed Peas co-founder and frontman — his full legal name is William Adams — spoke while sitting in a side room of a plush hotel in the Swiss ski resort of Davos. Visible on his wrist was one of the sleek Puls smartwatch-type devices that he launched last year. Will, 39, is appearing at the annual meeting of the World Economic Forum this week to talk about how technology can provide what he called a “new way of learning” as well as new skill sets and opportunities for communities and populations traditionally under-served by entrepreneurs. “Technology is a multitrillion-dollar industry if you take telecoms, hardware and software and couple it all together, and annually it (represents) gobs and gobs of money. 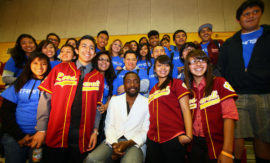 But for some reason, kids in inner cities and even in good neighborhoods don’t dream down that avenue by default,” he said. “It’s not like any of them ever wake up in the morning and say, ‘Man, I’m going to get my Michael Dell on,'” he added, referring to the Texan-born entrepreneur and founder of the computer firm Dell. “Why aren’t kids wanting to go that route? Why don’t they try to Bill Gates it and think, ‘If I come close at least I’m still cool,'” he said. 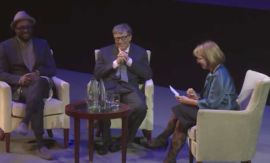 Gate is the noted billionaire and software mogul who started Microsoft and now spends the majority of his time on philanthropic activities. “Role models,” he said. “That’s why. There’s no one they can relate to. Let’s take football,” he said, continuing to elaborate. “If someone asks (someone from the inner city) what they want to be when they grow up, they’re going to say, ‘I want to be a running back.’ Now, that’s an eight-year career or something, and no one every really sees your face. And yet you have kids every day trying to be a running back. 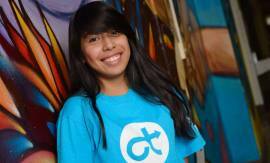 There’s no one practicing coding in the hood,” he said. Asked whether he felt adequately supported by the United States government in his efforts, he hesitated, then said, “It’s gotten to the point where I don’t even know how they can help. It puzzles me. It really does. The Black Eyed Peas have sold 33 million albums and 58 million singles and Will has worked with some of the industry’s biggest names, including Michael Jackson, Rihanna, Usher, Miley Cyrus and Britney Spears. He is the co-founder of Beats Electronics, the creators of Beats by Dre headphones. He has collaborated with Coca-Cola on recycling projects. In the United Kingdom, where he spends about five months a year, he’s a coach on the hit TV hit show The Voice. His film credits include starring roles in Rio, Madagascar 2: Escape To Africa and X-Men Origins: Wolverine. Read the full article from USA Today here.